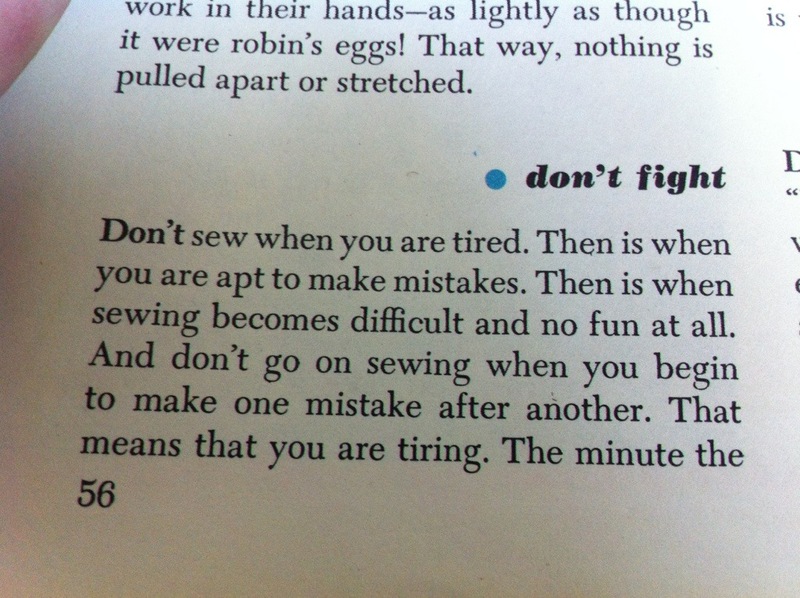 I have been taken in with the recent success of sewing for myself again! 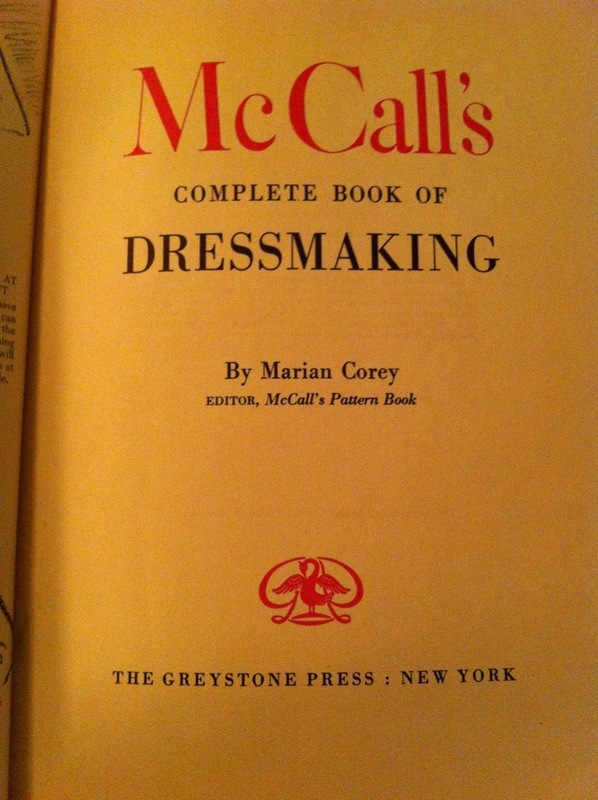 So now that the bug is back I have picked up my trusty copy of McCall’s Complete Book of Dressmaking published in 1951. 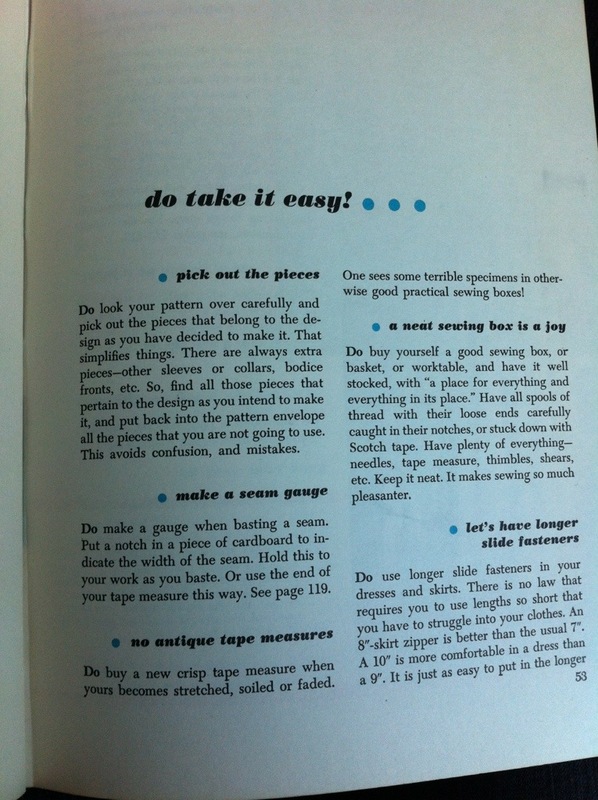 This book reviews not only technique but also how to chose a pattern which works best with your body shape and how to adjust a pattern for your sizing. 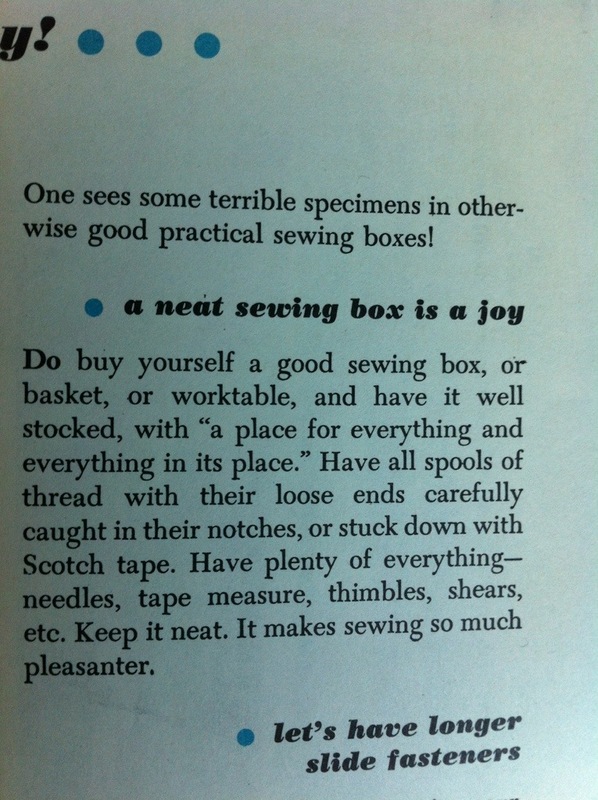 It also has fun adorable little notes and reminders such as to take it slow and keep a neat sewing box! Gosh I love these old books!